Chances are that, unless you’ve been living under a rock for the past few months, you have almost certainly already heard something about the biggest and most popular mobile game everyone is going crazy about: indeed, we are talking about the ubiquitous Pokemon Go. This new game has truly taken the world by storm, hooking new fans each and every day, and apparently uniting the fans of the classic TV series / video games with a legion of new users, eager to experience what the fuss is all about. But, what exactly is Pokemon Go? And, perhaps more importantly, why should you care about it? Well, first and foremost, it is a truly mobile experience. It is very telling that a classic game and concept like Pokemon should make its big comeback on the most widely used modern platform, as opposed to its very modest origins (in Game Boy!). Now, players are roaming outdoors, encountering others while they seek their goals and (hopefully) maybe even making a friend or two in the process. It’s actually part of a wider concept in gaming technology, called “augmented reality“, where the real-world surrounding merge with animated virtual elements to form the core of the game environment. Essentially, the idea is to capture as many Pokemon’s as you possibly can. And, thanks to the extensive number of different types and forms of creatures available in the game’s universe, the player will likely encounter different ones throughout his or her playing. These beings also vary by environment, and have their own stats each, so it becomes almost impossible to find the exact same one with the exact same stats. This, added to the games ability to adapt to the surroundings, makes it quite a varied experience. Also the game provides for a genuine community experience, since there are teams and alliances can be built between players. In addition to the collecting aspect, the other big element in the game are the actual battles. These do become something of a hit-or-miss kind of situation, in the sense that the game itself does not provide much instruction as to how to do this effectively. This is one part where the community aspect can make a huge difference for the individual user. Now, the big question on many people’s mind… Will Pokemon Go remain the hottest and most popular game on the mobile platform, or is this just another passing fad? The truth is, we can’t quite know just yet. 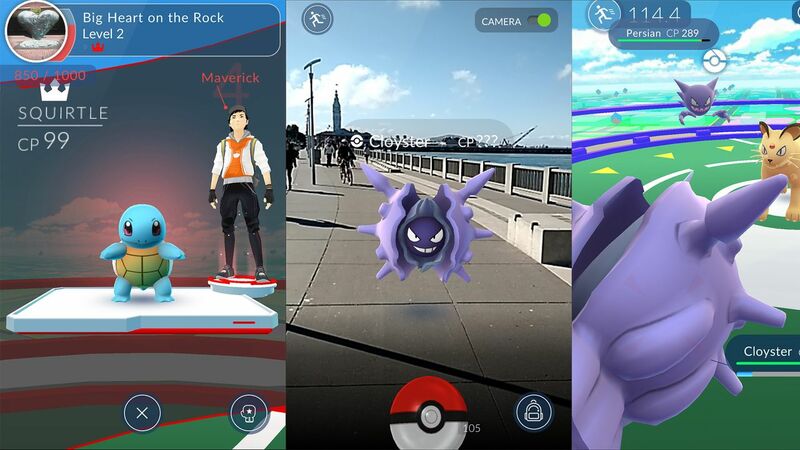 While users around the world do seem more than happy to devote their time to pursuing more of these “pocket monsters” and getting better at the whole process involved, there are also a number of reported bugs in the initial versions of the game, plus the fact that it is extremely heavy on battery consumption. And the general lack of clear directions or instructions within the game can be frustrating to some users, but this again goes to further evidence the fact that the social aspect of this game is crucially important, and sharing knowledge and experience with other users does indeed make a world of difference.